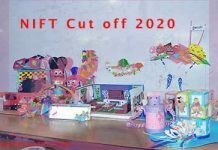 NID Result 2020: The result of NID 2020 will release online mode. Candidates who will take the examination shall be able to check the NID Exam Result. NID DAT Result will release in online mode only. After appearing in the examination, check the website from time to time to get the updates on NID Entrance Exam Result. Those who will not take the exam, they will not be able to check NID 2020 B.Des. result or NID 2020 M.Des. Result. The information about NID Prelims Result is available on this page. In order to download NID 2020 Result, candidates should use correct details only. The information such as Email Id and Date of Birth will be important for checking NID B.Des. Result, NID M.Des. Result. Without these details, candidates will not be able to access NID B.Des/ GDPD DAT Result. The authority will not share NID Prelims Result 2020 either through email or post with any candidate. So, make yourself familiar with the process to check the result of NID. Moreover, we will also update the link to check NID M.Des. Result, NID GDPD Result, NID B.Des. Result on this page. Candidates have to qualify DAT Prelims examination so that they can sit for DAT Mains Examination. After completion of Prelims, the concerned authority will release a separate merit list for UR, OBC-NCL, SC, ST & PwD category. NID 2020 Prelims Result shall carry the names of the shortlisted candidates only. A separate merit list will release for Overseas candidates. A candidate who will not pass the examination shall not be eligible for appearing in the Mains examination. Only such candidates will get the call for appearing in the Mains exam who will pass the exam. NID DAT Mains Result shall release after a few days of the examination. Candidates who want to take admission should pass the Prelims and Mains exam. NID 2020 DAT Mains Result shall release online so that candidates can check easily. The weightages of marks for the BDes/ GDPD programme are as follow. If two or more than two candidates will score the same marks then tiebreaker rule will be used. NID DAT Tie Breaker Rules are as follows. A candidate who will score higher marks in Part B of the Design Aptitude Test – Prelims will get a higher rank. 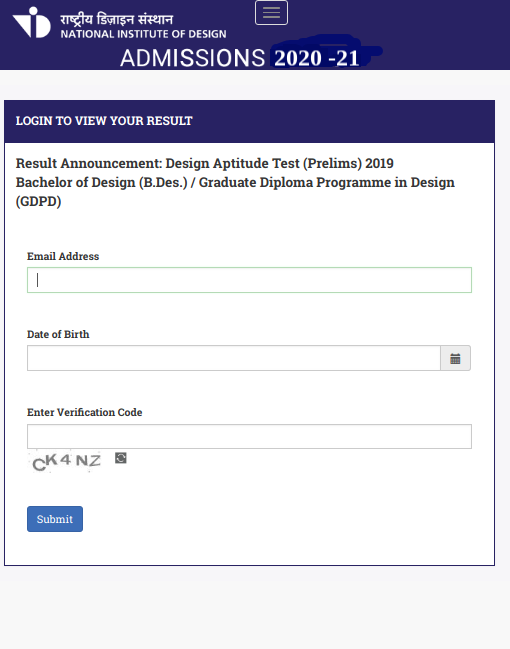 If this does not break the tie, then the candidate who will score higher marks in Part A of the Design Aptitude Test- Prelims will get a higher rank. If this will also do not break the tie, then both the candidates will get the same rank. How to Check NID Prelims/ Mains Result 2020? This section will guide the candidates to check their NID Result online. Such candidates who are not aware of the steps can take help from here. NID Prelims Result, as well as NID Mains Result, will release after a few days of completion of the examination. Those who will pass the examination will get the call for participating in seat allotment round. Further, read the step by step process to check the NID Exam Result below. Then the page to enter details will open in a new tab. After that enter the required details such as email address, date of birth and verification code. Then NID Result will display on the screen in PDF format. Check the information available in the exam result of NID carefully. Candidates will find the information related to the candidate as well as the exam result. Check the details carefully available in the result of NID. In case any candidate finds any error then contact the helpline services. The following details will be available in the NID Entrance Exam Result. The concerned authority of NID will release NID Final Merit List for UR, OBC-NCL, SC, ST & PwD category. 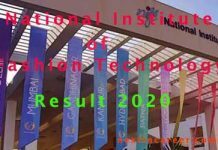 NID Final Result 2020 shall have the names of the finally selected candidates. In other words, only such candidates will be eligible for admission. On the other hand, a separate NID Merit List 2020 will be released for Overseas candidates for B.Des programme. If two or more than two candidates will score the same marks then, in this case, tie-break policy will be used for deciding ranks. The candidate who will secure higher marks in DAT Mains will get a higher rank. If this does not break the tie, then the candidate who will score higher marks in Stage 1 Design Aptitude Test will get a higher rank. In case if the tie still does not break, then the candidate who will score higher marks in Stage 1 Design Aptitude Test Part B will get a higher rank. If this does not break the tie, then the candidate who will score higher marks in Stage 1 Design Aptitude Test Part A will get a higher rank. If this also fails to break the tie, then the candidate who will score higher marks in the question of DAT Mains exam will get a higher rank. A candidate has to score percentile more than the minimum percentile score. The minimum qualifying percentile score for different categories is available below in the table. NID 2020 Seat Allotment will take place in Ahmedabad for B.Des., GDPD, M.Des. programmes. Such candidates whose name will appear in the NID Final Merit List should have to report on the given date and time. If any candidate fails to report on the allocated date and time along with the essential documents then it will lead to forfeiting the candidate’s seat. 5 How to Check NID Prelims/ Mains Result 2020?